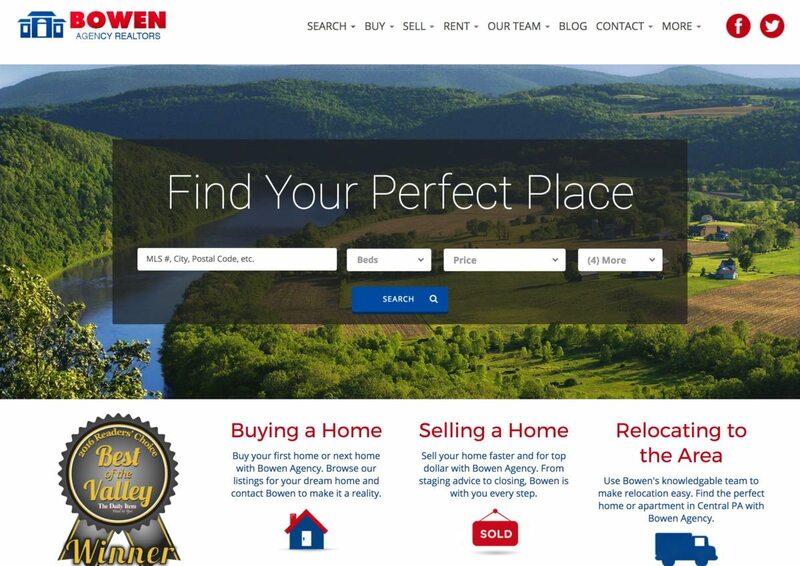 Bowen Agency Realtors is a full service realty company that has been serving the central Susquehanna Valley since 1971. They have three offices and over 20 agents working throughout Snyder, Union, Northumberland and Montour counties. The client needed a website redesign that could increase leads, integrate their MLS database listings and give each agent his/her own homepage.